Fox New anchor Bret Baier conceded Friday it was a "mistake" for him to report that an indictment is "likely" in an ongoing FBI inquiry into the Clinton Foundation. His comment came a day after several news outlets rebutted the Fox News report. Throughout the day on Thursday, NBC News, ABC News and CNN all reported that Fox's assertion was not true. And Baier, the Fox host responsible for the original assertion, seemed to backtrack from it, saying he had spoken "inartfully." On Friday, Baier went further, saying, "That just wasn't inartful, it was a mistake and for that I'm sorry." By then, however, the talk of a looming "indictment" had spread across the internet and social media, especially among Hillary Clinton opponents who were predisposed to believe the story. News outlets like The Hill and RealClearPolitics published stories repeating Baier's original claim, and countless conservative blogs and forums claimed it as fact and celebrated Clinton's possible legal peril. Some sites wrote hopefully about prison time. By Thursday evening, Clinton's campaign responded by calling on the FBI to make a public statement "to put a stop to these baseless Fox News reports." Campaign press secretary Brian Fallon cited reporting by NBC's Pete Williams, who said "the idea that indictments are near is just not true." Fallon tweeted, "This reporting has been debunked far and wide, and even by Fox News' standards, it was shameful for them to air it." The original report about an ongoing probe into the Clinton Foundation came on Baier's 6 p.m. program "Special Report" on Wednesday. An hour later, he talked with 7 p.m. host Brit Hume and said this: "We talked to two separate sources with intimate knowledge of what's going on with the FBI investigations... The investigations will continue, there is a lot of evidence. And barring some obstruction in some way, they believe they will continue to likely an indictment." Frenzied headlines ensued. But other anonymous sources told reporters at other outlets that the stories were untrue. "The idea that indictments are near or something like that, I'm told that's just not true," NBC's Williams reported. "There's been some reports out there today that an indictment is in the offing in the Clinton Foundation investigation," said CNN's Evan Perez. "Everything we've known about this investigation -- that's been going on well over a year -- is that that's not true." ABC News called the report "inaccurate and without merit." By then, however, Brent Bozell, the founder of the conservative Media Research Center, had already slammed the major networks for ignoring Baier's report. "The networks' blackout... is beyond the pale," Bozell said. Donald Trump also repeated some of Fox's claims, and other Republicans picked up the report as well, with the National Republican Congressional Committee slamming Democratic candidates for supporting Clinton with indictments "likely." 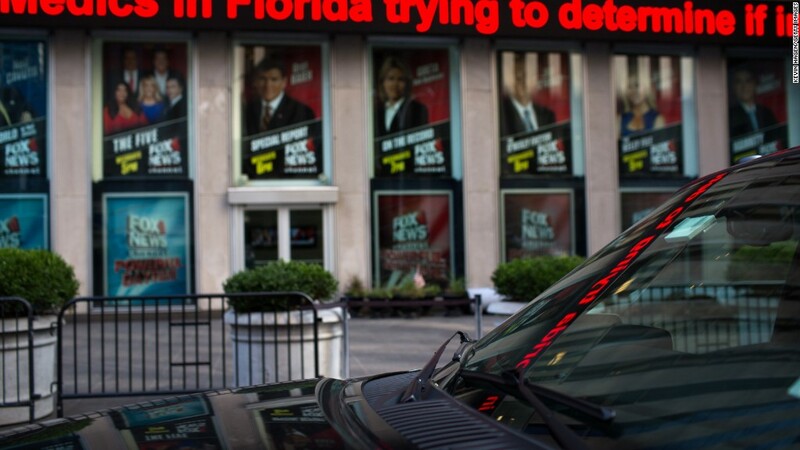 Those reports were further enhanced by the fact that Fox News executive vice president Jay Wallace said, "We stand by the reporting of the Fox News team." Baier himself walked back some of his remarks, however. Speaking on Fox on Thursday morning, Baier said that his sources had told him that the FBI had "a lot of evidence that would, likely lead to an indictment," but added, "that's not, that's inartfully answered. That's not the process. That's not how you do it." "There is confidence in the evidence, but for me to phrase it like I did, of course that got picked up everywhere, but the process is different than that." On Friday, Baier went further and called his comment a "mistake." CNN, The Washington Post and other news sources indicated that the leaks to Fox (and other outlets) were the result of strife within the FBI. "Internal dissension has exploded into public view recently with a series of leaks to reporters about a feud over the Clinton Foundation, an extraordinary airing of the agency's infighting," the Post said Friday morning.